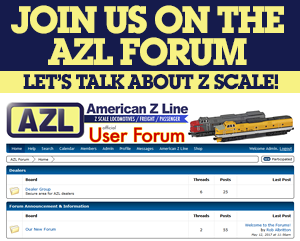 AZL has re-released the ATSF Budd RDCs due to popular demand! These two units should be run in tandem per the prototype. These were the only two RDCs owned by the ATSF. The cars feature etched metal walkways, doors that open, blackened metal wheels, fine printing and AZL’s AutoLatch™ couplers..